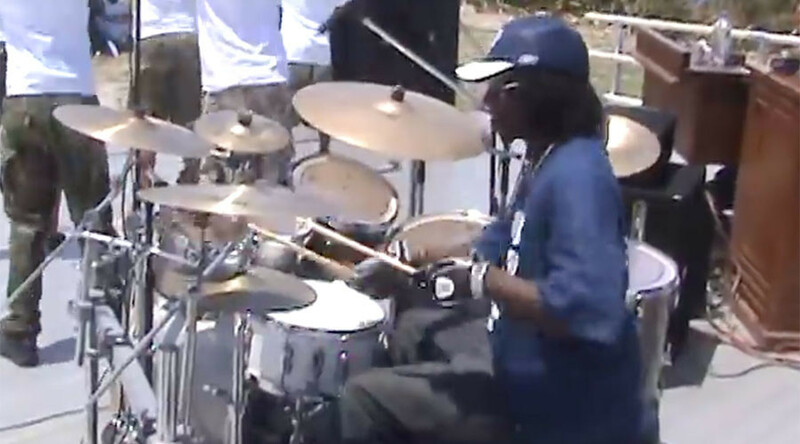 Corey Jones, a drummer for Future Prezidents, was driving back from a performance Saturday night when his car broke down on Interstate 95, just north of West Palm Beach. A bandmate who tried to help him restart the car called roadside assistance around 2:30 a.m. Sunday, and headed home. Less than an hour later, Jones was dead. For what reason was #CoreyJones shot dead? Having a car break down while being black? On Monday, the Palm Beach Gardens PD released a statement on Facebook, explaining that Jones was shot and killed by Officer Nouman Raja, investigating what he thought was an abandoned car. Raja was out of uniform, and driving an unmarked car when he approached Jones at 3:15 a.m. Sunday, October 18. The department’s Facebook page went down shortly after the statement was posted. By then, outrage began to mount over Jones’ death. The 31-year-old was a beloved member of the Bible Church of God in Boynton Beach, where he grew up playing drums. Jones was a graduate of the University of Akron in Ohio, with degrees in business administration and music, and worked as an inspector for the Delray Beach Housing Authority. He also mentored African-American youth at My Brother’s Keeper, a program established by President Barack Obama. The police have not said what type of weapon Jones was allegedly armed with. While Jones had a license and owned a firearm, family and friends say they don’t believe he pulled a gun on the officer. “He was like a really peaceful guy. There’s no way he had a gun. We’re all musicians and stuff. We’re not violent people,” his bandmate Matthew Huntsberger told the Palm Beach Post. He had called roadside assistance after trying unsuccessfully to start Jones’s car. "Corey would never pull out a gun on anyone, and never on an officer,” his aunt, Serena Banks, told the Post. That would assume Jones had any way of knowing that Raja was an officer, though. According to one Palm Beach Post source familiar with the investigation, who requested anonymity, there was nothing to identify Raja as a cop as he approached Jones, who did have a gun. “The assumption is that the guy didn’t know he was a cop,”said the source. Officer Raja, 38, had joined the Palm Beach Gardens force in April, transferring from nearby Atlantis. He was not wearing a body camera, and none of the department’s cars have dashboard cameras. Raja has been suspended pending the outcome of the investigation. Friends, family and the church community gathered for a prayer service for Jones on Monday night. They are planning a rally outside the Palm Beach Gardens PD on Thursday morning, they told WPTV. John Kazanjian, president of the Palm Beach County Police Benevolent Association, expressed his frustration about the lack of transparency regarding the shooting. While the police chief refuses to address the public, Palm Beach Gardens officers are receiving death threats, he said. Corey Jones was the 948th person to be killed by US police in 2015, according to Killed by Police project.